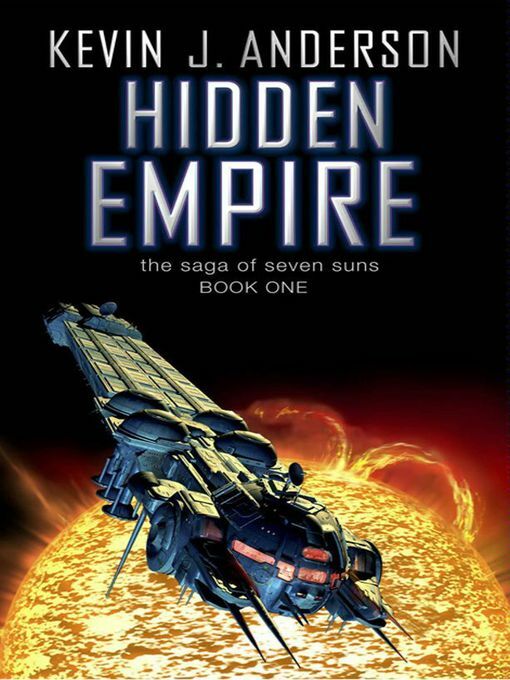 The Hidden Empire by Kevin J. Anderson is the first book in The Saga of Seven Suns series which runs to seven books. It’s a meaty space opera of around 660 pages. A nice substantial book to really get my teeth into. In theory. Humanity expanded out into the universe in generation ships. They encountered the Ildirans who gave them advanced technology for spaceflight and helped them settle colony planets. They’ve discovered another extinct alien race and in the course of learning about them they’ve found a tool for tunring gas giants into suns. Using this tool triggers a third alien race to reveal themselves and declare war on both humans and Ildirans. As this is the first book in a series of seven it is largely setting up the war. Through numerous characters Anderson builds up a picture of human and Ildiran society and draws the relationships between them. The Hidden Empire is broad in scope which I liked, but it lacks depth which I didn’t like. Chapters are short, lasting only one or two scenes. This makes the pace quite quick. The chapters are told from the point of view of a single character and often ends refering to the character whose chapter is next so there is a pleasing chain effect. What it lacks is depth. There is one main bit of human society (Hansa) and two further cultures (Theroc and Roamer) which have a tense relationship with the main bit. But the groupings are simplistic. For example, the Hansa have devolved to a psuedo-monarchy for their system of government and the rationale seems rather weak. There is also a lack of understanding of the dynamics of oppression and marginalisation. The characters are shallow stereotypes that exist primarily as narrative mouthpieces. The whole thing is heteronormative and white-centric – probably not consciously, but it does demonstrate a lack of thought or analysis. I finished it (and I won’t be finishing anything truely terrible this year), but I won’t be reading the rest of the saga. While I do love fiction with a broad sweep I need that to be balanced with depth, good characters and complex relationships.